I have heard the following said at various times and in various ways: “The purposes of God do not just happen [in our lives and world] just because he wants them to. Someone has to pray it.” Brothers and sisters, everything that sounds good isn’t good. Now, I don’t wish to come off as being nitpicky or harsh. I am a preacher, a flawed and imperfect one, of course. So I am certain I have had my share of theological gaffes. When such blunders are made, a person will either, in the speaking moment, catch himself and make the correction on the spot, or may come to the knowledge of his mistake afterwards and issue a retraction and correction in some form. Unfortunately, in some cases – and specifically the one that was the impetus behind my writing of this article – that does not happen. With this particular situation that I am thinking of, the speaker didn’t even seem to think he had committed a doctrinally faux pas. But he did. And here is why. To use the definite article “the” in connection with “purposes of God” says to the hearer that whatever the speaker says next applies to all of God’s purposes. So, with this in mind, when we add in the rest of the statement, here is what was being communicated: None of what God purposes happens simply because he desires it. Someone has to pray for it to become a reality in our lives and in the world, otherwise it won’t. Of course, some would say, “Ed, come on now. If you would give a charitable listen to what he said, you would understand he was not meaning to refer to all of God’s purposes but to some of them.” Even if that was what he really meant to communicate and just botched it, that train of thought and assertion is still biblically and theologically troubling. All of God’s purposes – from the workings of his creation to human affairs to his grand redemptive plan in Christ – happen precisely because he wants them to (Psalm 135:6; 115:3); and some he has ordained to arrive on the wings of our prayers (e.g., James 5:16b-17). 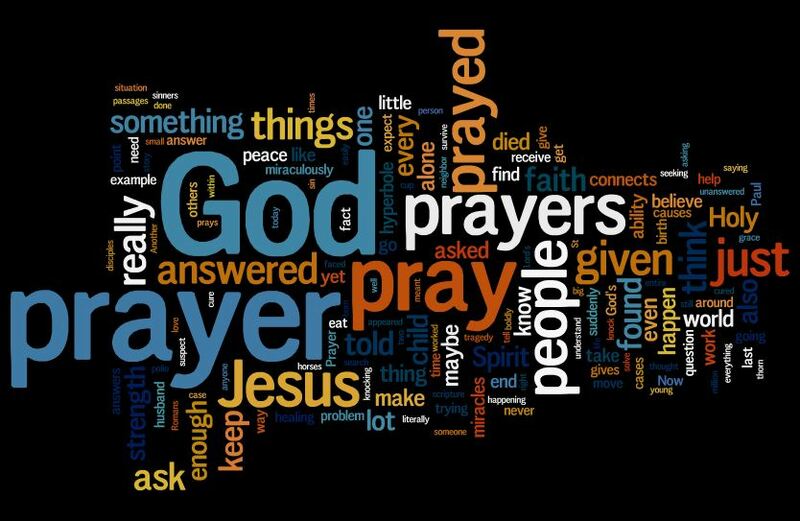 We ought not think our prayers to be inconsequential to God’s purposes being fulfilled; but neither should we think them to be indispensable to the same. God does not need our prayers in order for him to do his work. But he does his work in many ways through our prayers. Prayer is not intended to change God’s purpose, nor is it to move Him to form fresh purposes. God has decreed that certain events shall come to pass through the means He has appointed for their accomplishment. Posted on October 7, 2015, in Bible, Life. Bookmark the permalink. Leave a comment.